The purpose of the ECW is to assist the women of the Episcopal Church to carry on Christ’s work of reconciliation in the world and to take their place as leaders in the life, governance and worship of the church. ALL women of St. Matthew’s are invited to participate in this dynamic group. ECW benefits monies from the bi-annual Cathedral Book store visit to St. Matthew’s. The Vera Bradley sales at St. Matthew’s is another activity of this self-supporting organization. ECW has sponsored education & clothing costs for Daysy Caceres, in ‘Our Little Roses” orphanage for the past 12 years. The ECW provides for the Episcopal Church by the United Thank Offering (UTO). The Order of the Daughters of the King is a lay religious order within the Anglican Communion, of which the Episcopal Church is a part. The St. Matthew’s chapter is known as the Ruth Chapter of the DOK. Individual members have completed a study period of six to eight weeks and have taken a lifetime vow to live by the Rule of the Order, which includes a spiritual discipline of daily prayer, service and evangelism. All Daughters promise to wear the cross of the Order at all times as an outward and visible sign that we cannot live a day without Christ in our lives. Daughters pray daily for the universal church, the parish, rector and vestry, and for anyone who has asked for prayer. Anyone (whether a member of St. Matt’s or not) may request prayer in a number of ways: by filling out one of the the the prayer request cards found on the table just outside the Narthex and handing it to an usher or a Daughter, by putting a note in the offering plate, or by speaking to any Daughter at any time. You can also email a request by using the form here. All prayer requests are confidential, and only members of the Ruth Chapter will know of the request. If you feel called to learn more about this Order for women please contact the church office. Study periods for prospective Daughters are generally held during Lent each year. In addition, the National DOK website is rich with information about who we are and our history. The web address is www.dok-national.org. Known as the Oren Morris Chapter of the Brotherhood of St. Andrew, our chapter meets every other Saturday, 8am – 10am, in the parish hall. Each meeting consists of a big breakfast, fellowship, bible study, and prayer. All men of the parish are invited to attend whenever they can make it. Please check the church bulletin or newsletter for the meeting schedule, or call the church office. 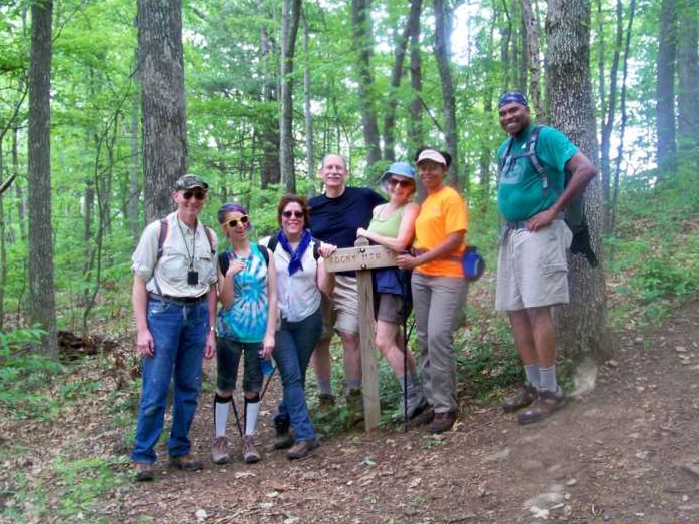 One day each month, the St. Matthew’s Hiking Group heads to the mountains for a day of hiking. We typically hike on the first Wednesday of the month, and leave from the St. Matthew’s parking lot at 7:30am. We usually hike 6 to 8 miles of trails mostly in Georgia. The trails are generally rated easy to moderate, with some strenuous sections. We have experienced a variety of scenery including mountain views, streams, rivers, water falls, coves, wild flowers, and snow. As much as we enjoy the hikes, the fellowship is the most enjoyable part of the day! 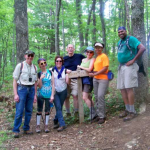 Late each month, the Hiking Club Leader sends out an email to interested persons detailing where we will go next. They use this email list to notify hikers when we need to reschedule for weather or other reasons. If you would like to receive these monthly emails or have any questions regarding the group please contact the church office. 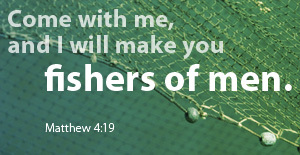 The Knit, Purl & Pray Ministry was established by a church member who found a prayer shawl pattern. 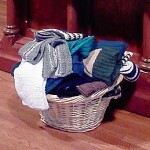 Prayer shawls, hats, scarves and other items have been knitted or crocheted for Gwinnett S.E. Coop and cancer patients by members of St. Matthew’s Knit, Purl and Pray group. 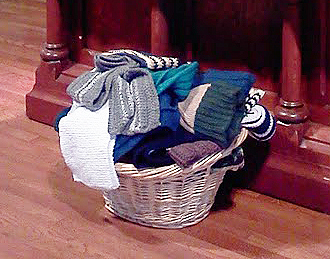 The items are knitted or crocheted, blessed by a priest on the altar, and given to folks who are part of our parish as well as outside the community of St. Matthew’s. Wrapping one’s self in a prayer shawl is a way of focusing one’s eyes and heart on God to feel his presence and loving embrace. This rewarding ministry brings joy, comfort, hope and God’s love to the church, the larger community and the world. Also, afghans and many different craft items are hand made by this group to be auctioned or sold to benefit St. Matthew’s at our Annual Car Show and ECW’s sponsorship of Daysy Caceras. The Knit, Purl & Pray group meets on the FIRST and THIRD Thursdays of the month, at 10:00 a.m. in the library. All are welcome!